Little Venice ! Great restaurants, clubs and nightlife! My spot every night! Ahhh… Mykonos, the “party island”. And I do mean party! But Mykonos is also known for its fabulous beaches as it’s less cliffy than Santorini. The shopping is amazing from Designer shops like Louis Vuitton and Chanel to locals selling their wares. There’s even a Sephora! But there is definitely a lot more to this fabulous island in Greece. What is fun about Mykonos is that there is a lot more hustle and bustle, particularly in Mykonos Town, like Old Port and Little Venice. The beaches here have soft, golden sand, but can be very crowded in July and August. And beware of the cost of chaise lounge rentals ranging from $30.00 to $80.00 USD to rent a chair! The Windmills in Mykonos Town! Absolutely fabulous to see! Fabulous hotel with stunning views of Aegean Sea! It’s easier to get around Mykonos because most of the attractions are all closer to each other, such as the old port and the popular beaches. Public buses are the best way to get around costing approximate $2.00 to any destination. The buses area very nice like charter buses so they are very comfortable. You can rent scooter and atvs if you are adventurous. I have to say that a lot of hotels near Mykonos town are situated high and require walking once the bus drops you off as buses cannot go up the narrow road leading to your fabulous hotel. I recommend taxis if you are not fit, older or too drunk or tired to walk the hill. Going to the airport? Do you dread the lines at the airport? TSA pre-check is the answer for you! I just love it!!! For a non-refundable $85 fee (payable by money order, credit card, or a certified check) you can enroll in TSA PreCheck for five years. TSA PreCheck is the expedited screening program at airports that allows low-risk passengers to use a fast-tracked security line. In order to apply, you must be a U.S. citizen, a U.S. national, or a lawful permanent resident. The application process includes an in-person interview and background check. It’s been said time and time again that when the going gets tough, the tough get going, but some people don’t find that at all easy to do. Positive attitudes can help, but knowing that there is a higher power that controls the chess pieces of our lives lets us know that this hard time is only a bump in the road and will soon pass. Do what you love simultaneously with your “adventure”. Notice I did not say ordeal! Knowing it won’t last is key! This deep acceptance of faith is called joy; and hard times simply can’t compete with pure joy. We may not understand why bad things happen to good people, but we know that they do and always will. Bad things happen to bad people too, just as good things happen to good people. It’s just the way it is. It’s the manner in which we deal with the life’s obstacles that define who we are- how we present to the world. If you’ve placed second in a writing contest, will you jump for joy and push for better results the next time or will you be discouraged and find an excuse not to join again? Optimists jump for joy! In life, you are always filled with choices. You may opt to have a pessimist’s view and live a self-defeated life or you may decide to take the optimist’s route and have a challenging and fulfilling life. Here’s why you should nurture an optimist’s point of view NOW! Kecia’s Easter Inspiration – Recipe, Tablescapes and More! Spring is in the air and Easter is around the corner , so let’s change up our tablescapes! The more tables you have the better! Spring is the season that is long expected by everyone. So now that spring seems to finally be here, how about bringing spring into your home? Allow the feeling of warmth and rebirth to flow through your sanctuary. What better way than to change up our tablescapes throughout the home. Your kitchen, diningroom and foyer tables are there waiting to be decorated for the new season! So let’s look at some ideas I just love! Make use of your chandeliers and hang Easter eggs and green foliage to really make a statement! What Innovation Can Do to Your Life -A Must Read! Innovation–The process of translating an idea or invention into a good or service that creates value or for which customers will pay. It’s a talent that everyone has, yet they think they don’t. 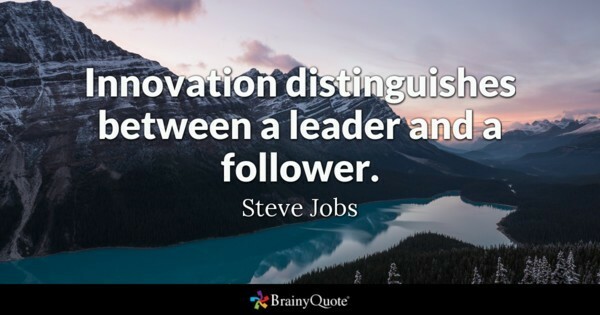 The power of innovation. If you’ve ever marveled at somebody’s creative prowess, guess what, you can create and innovate too. It just takes time. Everyone is born creative. The box of crayons in kindergarten were not limited to those who possessed potential; because the truth is, everybody has potential. With 2018 here, many of us have new year resolutions. I bet half of you did not follow through! 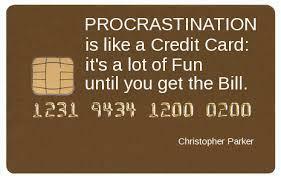 Procrastination is an enemy! Have you been to gym? Did you start saving more money? Did you book the trip of a lifetime? Did u start your healthy eating? did you start your blog? your book? your new business? Mark Twain had something to say about almost any topic you can imagine. 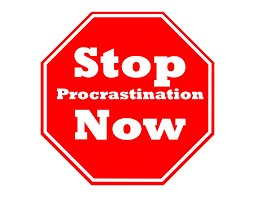 On the subject of how to avoid procrastination, Twain said, “Never put off until tomorrow what you can do the day after tomorrow.” Everyone can enjoy the humor in Twain’s comment. But for many of us, Twain’s insight on the danger of procrastination is painfully true. FREE STUFF! FITNESS IS A WAY OF LIFE! Thanks to all my subscribers who received their free ebook today , Fitness is a Way of Life! Your loyalty and support means so much! 500 + new subscribers each week! Feeling Fit and on Fire in Mykonos! If you do not subscribe to the Talkboss blog on my website keciaclarke.com, what are you waiting for? Come on! Join the fun! If you do, you too, will receive the free ebook. Inspiring health and wellness! This gift is only for those that subscribe before Christmas and my current subscribers like you! Thank you for your loyalty and support! Free gifts each month starting 2018!!! !